OLD PARKED CARS. 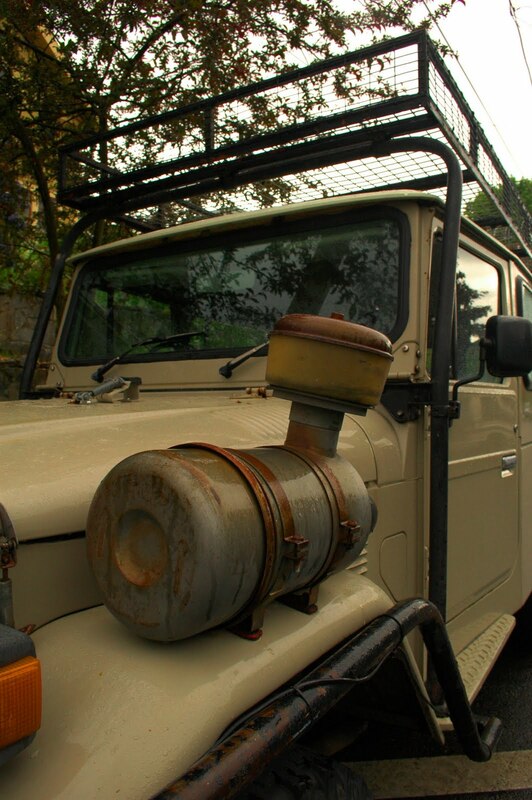 : 1982 Toyota Land Cruiser FJ45. 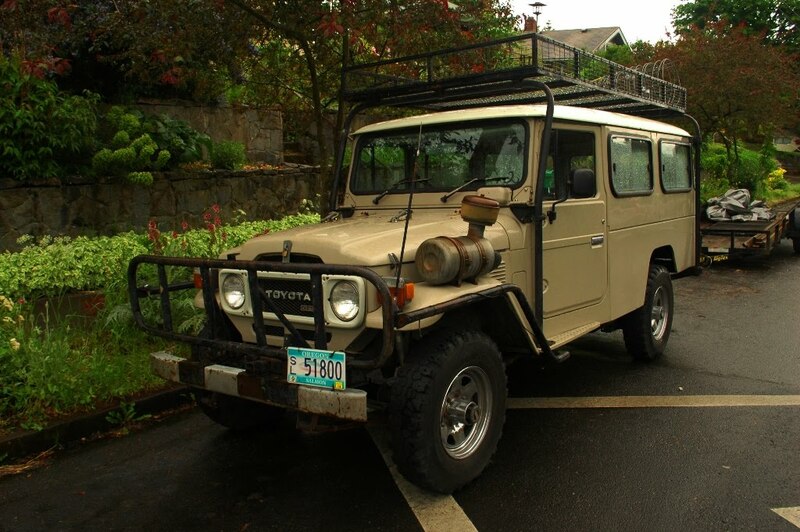 1982 Toyota Land Cruiser FJ45. Oh dang, were you not able to get a profile of this? And what the heck is that intake thing? Seems too low to be a snorkel. How'd you guess this is an 82, I thought they were discontinued after just a few years of production? The only thing that could make me more happy about this is a ladder attached to that wonderful system of bars. Don't these hold 12 people? How great is that curved piece of glass on the corners? 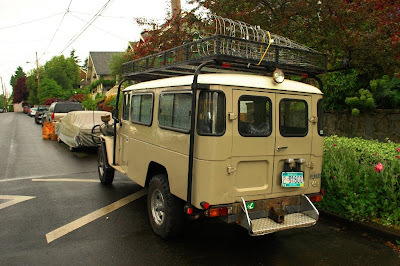 who knows what i was thinking a year ago, but googling "1982 troopie" brings up plenty of examples. Good job Tony. I don't want you feel like no one appreciates your good work. Ben that is the air cleaner- on the outside like a diesel big-rig truck. These could ford relatively deep streams but no way go underwater. 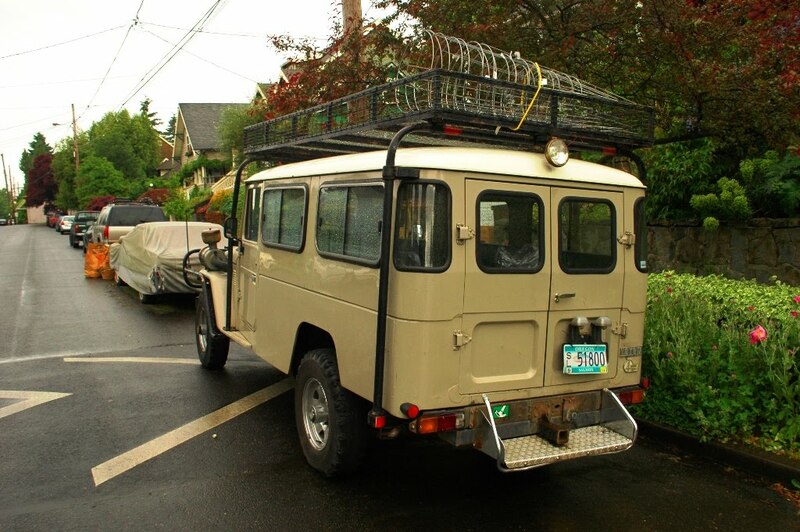 This one seems more safari-ready save for the wheels. lolz at my poor withered self-esteem. i was half-kidding, but I was also half-serious. no but seriously I wasn't serious at all.